Most Vegas sportsbooks have Virginia as a 1-point favorite against Texas Tech for Monday night's national championship game in Minneapolis. [Most Vegas sportsbooks](http://www.vegasinsider.com/college-basketball/odds/las-vegas/?s=66) have Virginia as a 1-point favorite against Texas Tech [for Monday night's national championship game](https://www.betchicago.com/national-championship-betting-preview-texas-tech-virginia-2019) in Minneapolis. 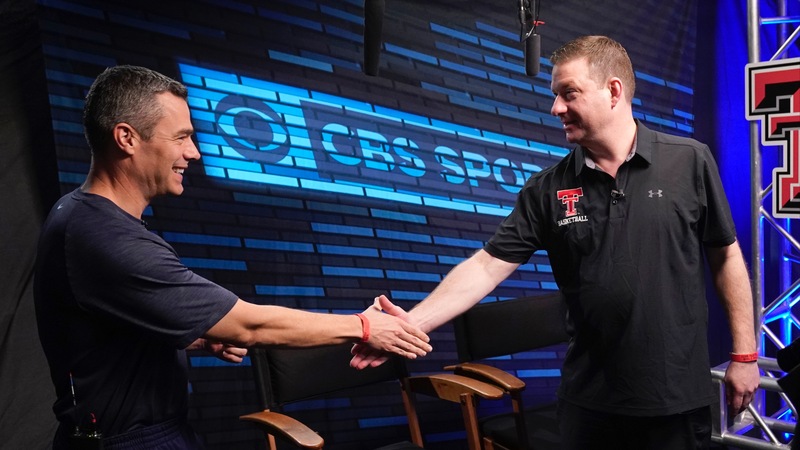 But US Bookmaking saw so much action on the underdog Red Raiders that it moved the line to pick 'em as of Monday afternoon, according to oddsmaker Robert Walker. "Most players are on the dog early," he said. "There's been a lot of dog play in this tournament." And it's been paying off, as [underdogs are 35-27 in the tournament](https://www.betchicago.com/final-four-betting-recap-virginia-win-auburn-cover), including 5-1 in the Elite 8 and Final Four. The split of money wagered on Texas Tech and Virginia at US Bookmaking is about 60/40, Walker estimated. Part of the Red Raiders' allure might be the Cavs' shortcomings as much as Texas Tech's skill, Walker thinks. He said of top-seeded Virginia (34-3, 25-12 against the spread): "People think they were very fortunate to have beaten Purdue and to have beat Auburn. But there's two ways of looking at it -- they're either a team of destiny or just got lucky. It was the same with Duke (after close wins against UCF and Virginia Tech). People jumped off the bandwagon and went with Michigan State." __MORE:__ [Best national championship game prop bets](https://www.betchicago.com/2019-national-championship-betting-props-texas-tech-virginia) Speaking of the Blue Devils, both teams in the title game lost to Duke this season -- the Cavs going 0-2 against them in ACC play (1-1 ATS) and third-seeded Texas Tech (31-6, 20-16-1 ATS) losing to them, 69-58, Dec. 20 at Madison Square Garden as a 10-point underdog. Not having Zion Williamson and Duke in the championship game may have decreased the handle by "10 or 20 percent, because everyone knows Duke," Walker said. But even though this might not be the sexiest matchup for television executives, it's still getting plenty of wagering acton with US Bookmaking -- even though having it at pick 'em is taking away some of the potential moneyline action. "Very few people know Texas Tech, but it adds to what the tournament is," Walker said. "It's going to be a really fun game. I can see it being maybe two or three possessions one way or the other the entire game." It's also expected to be an excellent defensive matchup, leading to the [extremely low total](https://www.betchicago.com/2019-national-championship-betting-props-texas-tech-virginia) (118.5 from US Bookmaking, the Westgate SuperBook at William Hill as of Monday afternoon). The first-half total is just 54. As such, bettors are "taking a hard look at the OVER," Walker said. And, as a result, Texas Tech and the OVER are liabilities for the book. The UNDER is 31-29-2 thus far in the tournament, and it's 20-17 in Virginia's games this season and 21-15-1 in Texas Tech's. Some bettors are also backing the Red Raiders as a way [to hedge their season-long wagers](https://www.betchicago.com/how-to-hedge-virginia-ncca-tournament-bracket) on the Cavs to win the title and/or their bracket pools. Said Walker: "Hedging is a big part of this." If you were one of the fortunate ones to be able to do that, kudos to you. __PLAY:__ Our free [2019 Masters Challenge](https://betchicago.chalkline.com/games/masters-challenge) to try and win a piece of our $5K giveaway.